Integrated math courses and curricula teach different math strands, like algebra, geometry and probability, within the same courses. While it's common for math to be taught this way in grades K-8, this approach is much less common in high school math. 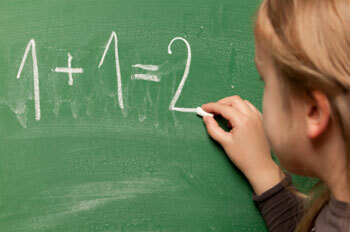 Read on for help understanding integrated math. If your high school teaches integrated math, you're probably wondering what this means, and how your math instruction is different from what students at other schools learn. Put simply, you'll learn more or less the same math skills that are taught at schools with traditional math programs, but you'll learn those skills in a different order. Traditionally, students in the United States have taken an introductory algebra course in 9th grade, followed by geometry in 10th grade and intermediate algebra in 11th grade. Trigonometry, measurement, probability and data analysis are typically incorporated throughout the curriculum. 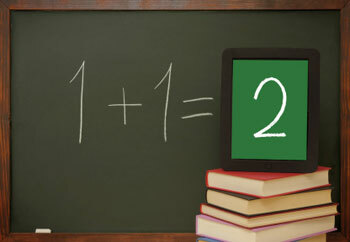 However, some schools have introduced integrated math programs at the high school level. These programs mimic the way math is taught at the lower grade levels by teaching different math competency areas within the same course. Practically, this means that instead of focusing only on algebra or geometry, your high school math courses will all cover skills in both of these areas, as well as the other major math strands. In the first integrated mathematics course of your high school career, you'll cover algebra skills like simplifying linear and exponential expressions and writing linear equations to represent relationships. You'll also work with systems of linear equations and learn to use function notation. In geometry, you'll practice writing simple proofs. In your second year of integrated mathematics, you'll be introduced to right triangle trigonometry and circle theorems. You'll also extend your knowledge of functions to quadratic and absolute value models, and you'll learn to solve quadratic equations, inequalities and systems of equations. Additionally, you'll study independence and conditional probability, and you'll practice calculating the probability of compound events using the uniform probability model. In year three of integrated mathematics, you'll learn more advanced trigonometry and use logarithms to solve problems. In algebra, you'll represent and solve many different types of equations graphically, including polynomial and radical equations. You'll also practice selecting appropriate functions to represent different types of mathematical problems.